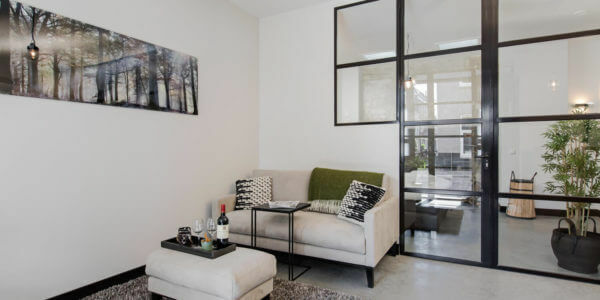 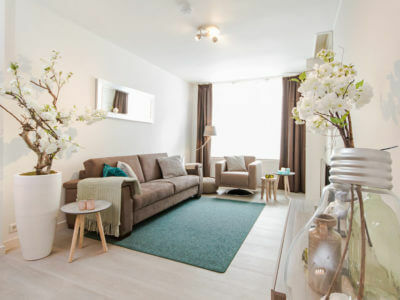 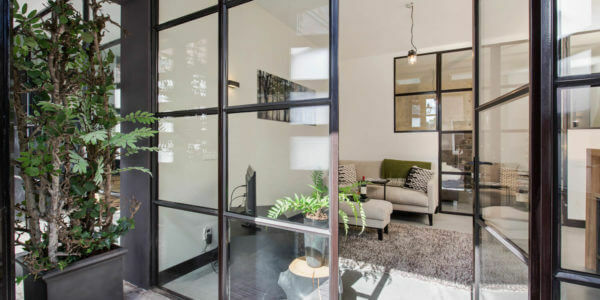 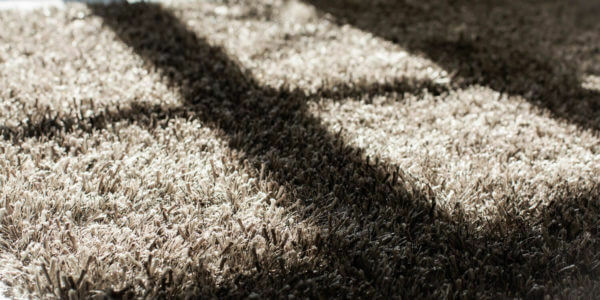 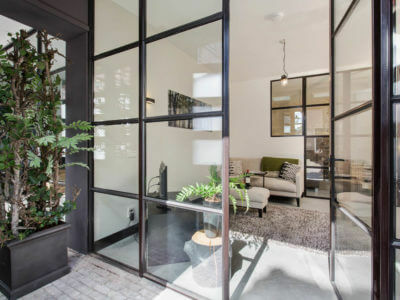 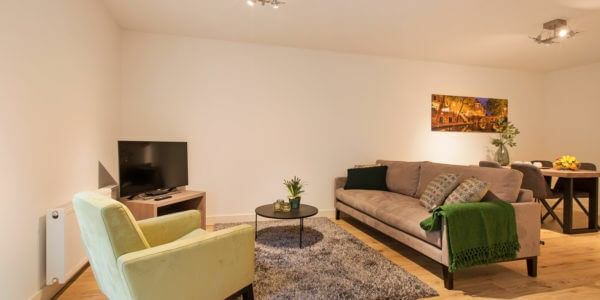 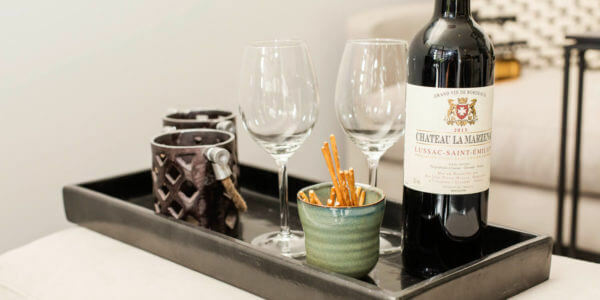 The apartment is located on the ground floor and features a small patio which can be broadened by opening two large entry doors. 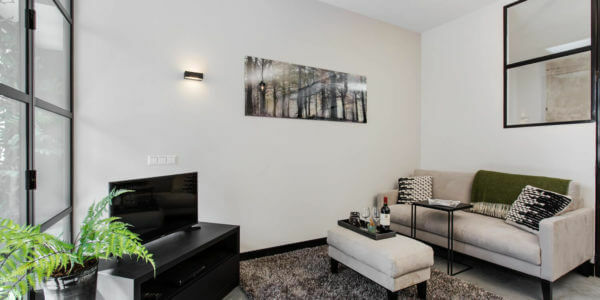 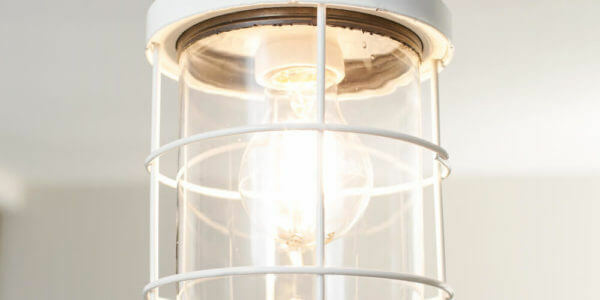 It is a completely renovated fully equipped one-bedroom apartment with a modern industrial look. 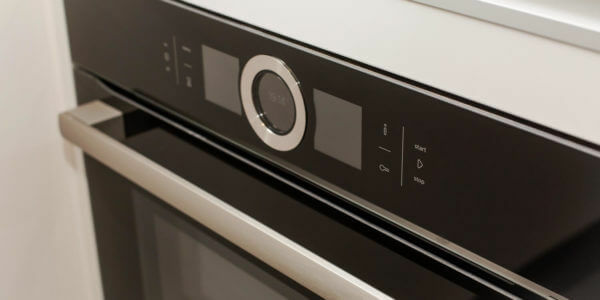 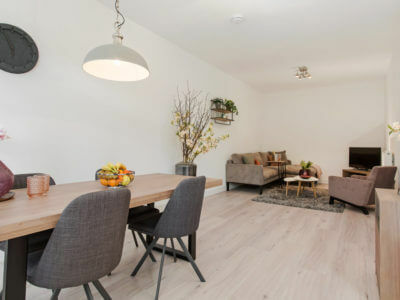 It has a double bed, a completely new kitchen, bathroom with shower, washing facilities and a dining bar table with high chairs. 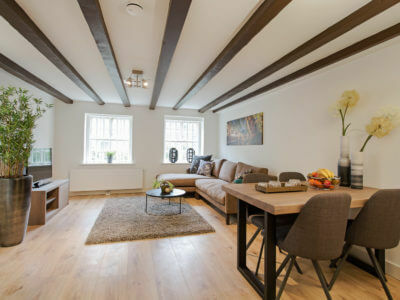 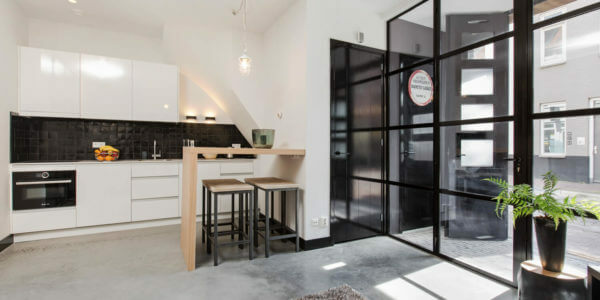 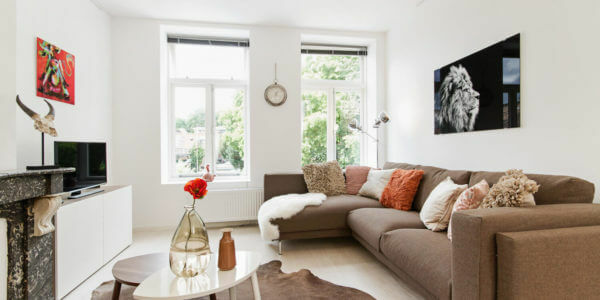 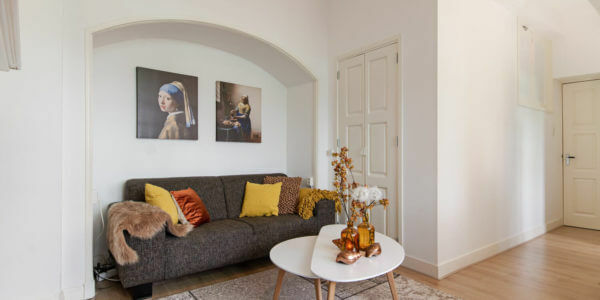 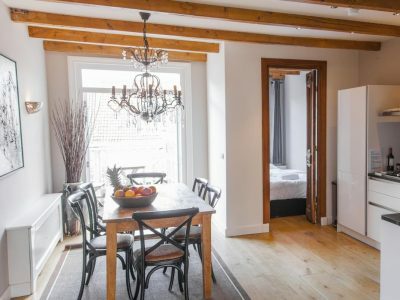 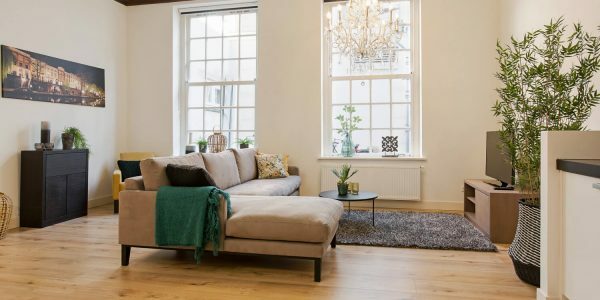 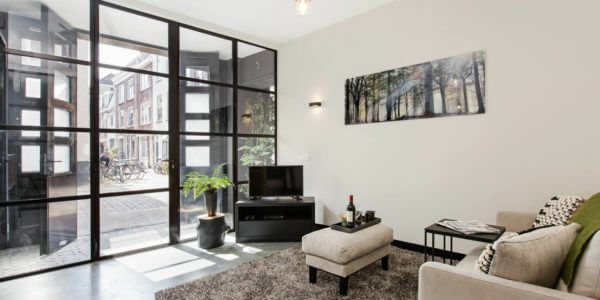 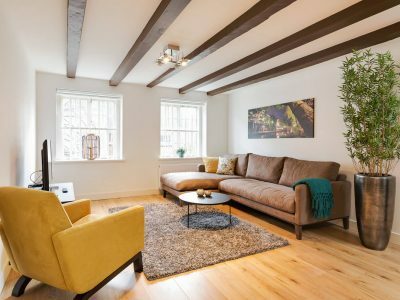 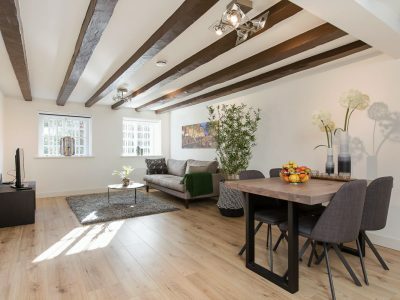 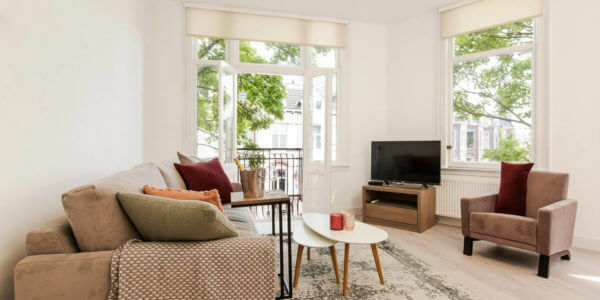 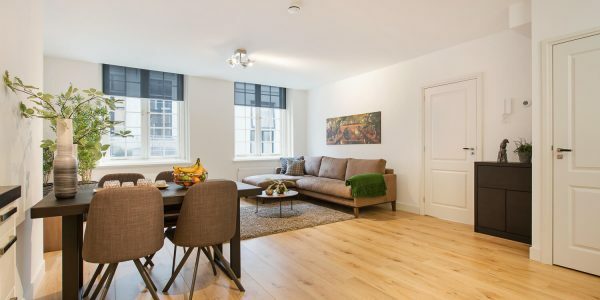 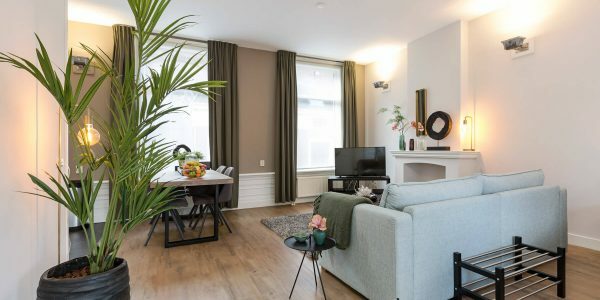 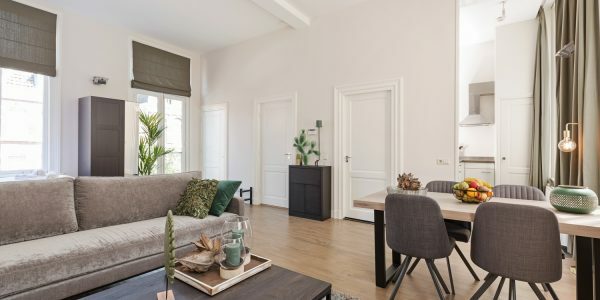 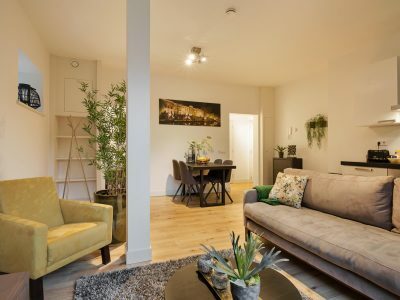 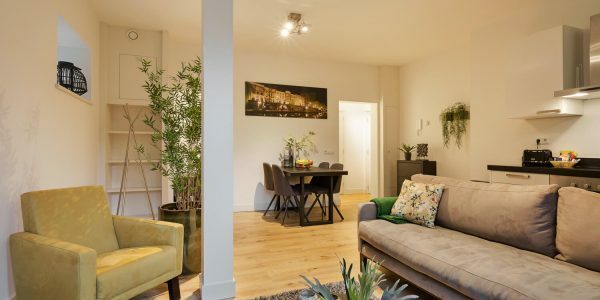 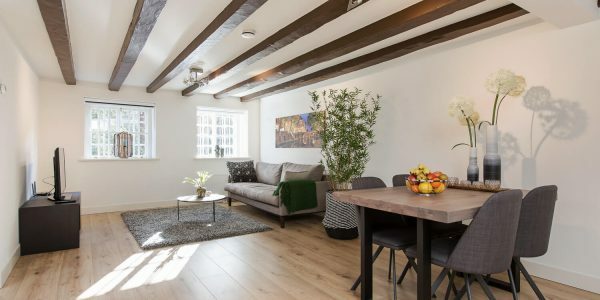 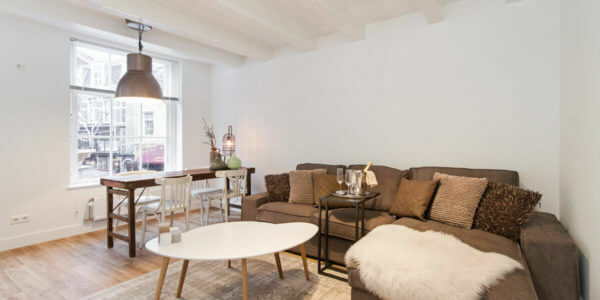 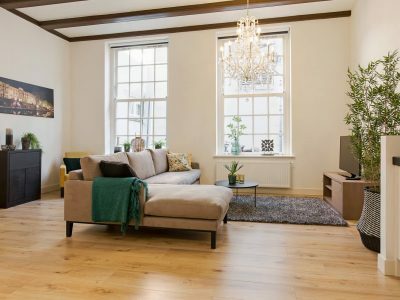 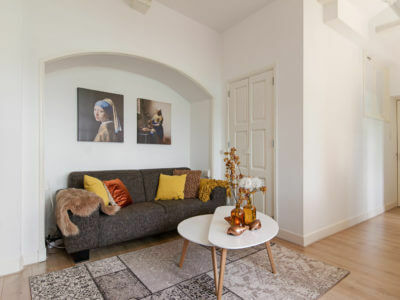 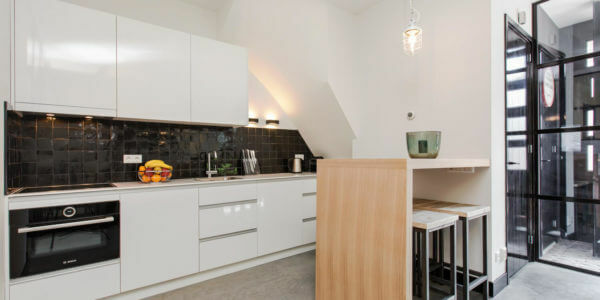 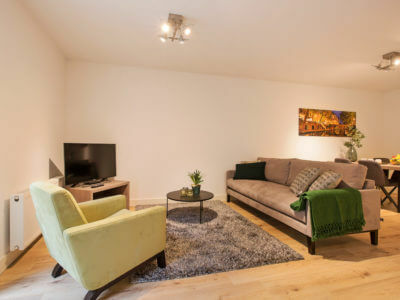 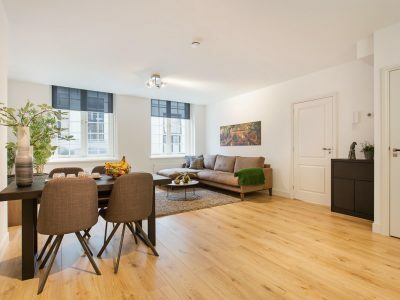 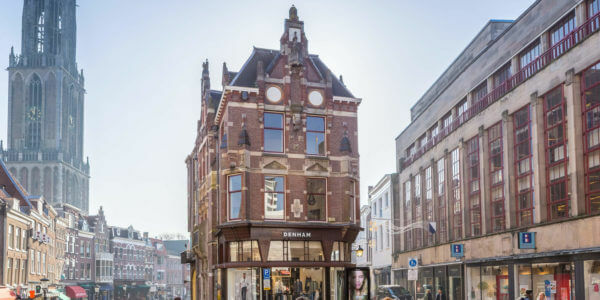 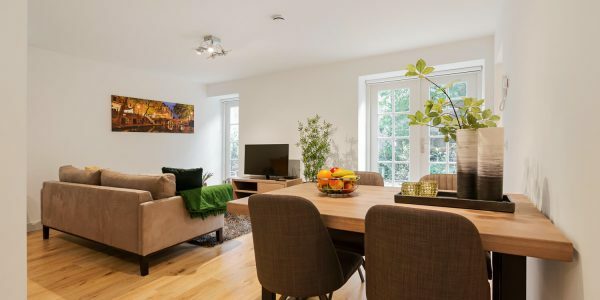 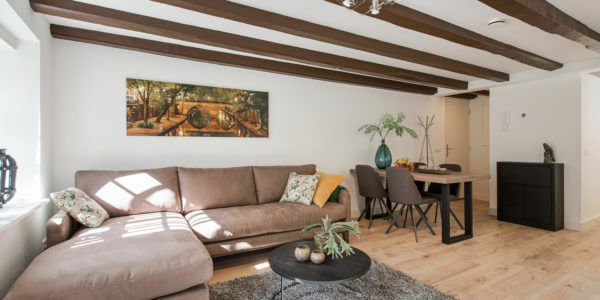 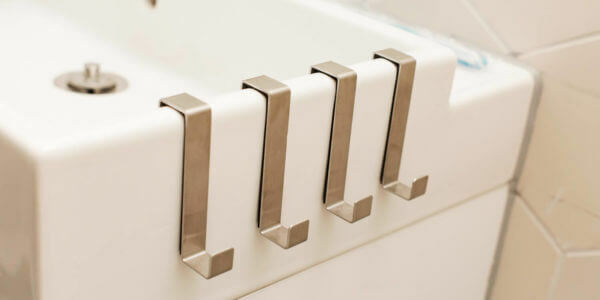 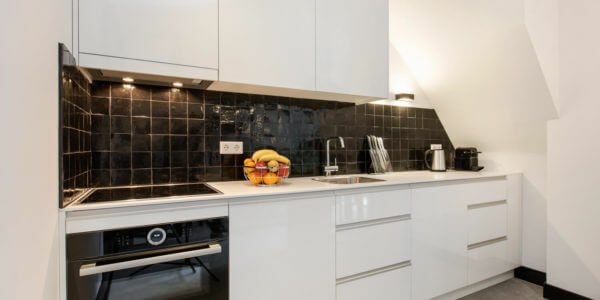 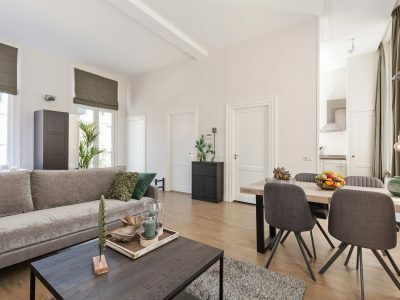 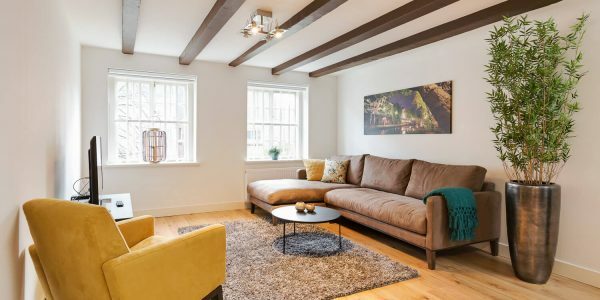 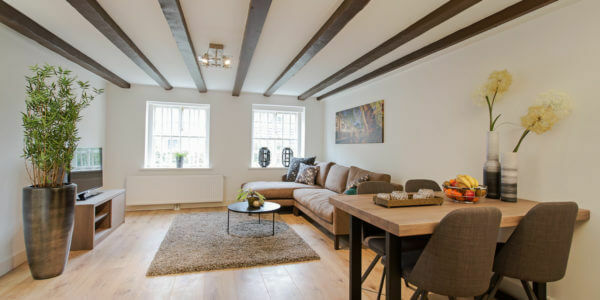 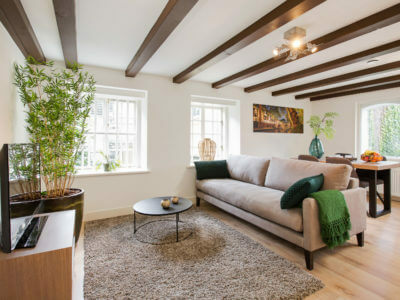 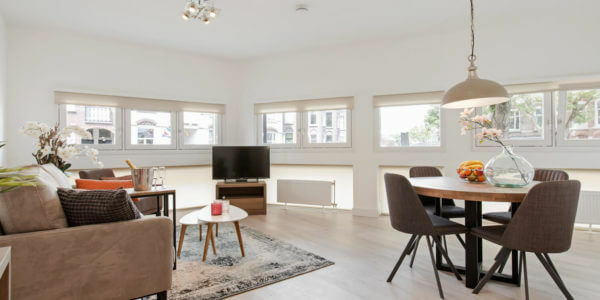 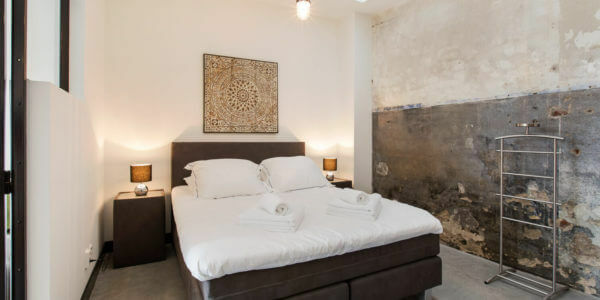 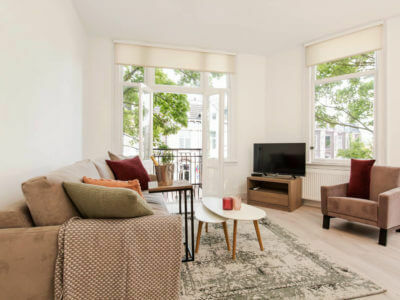 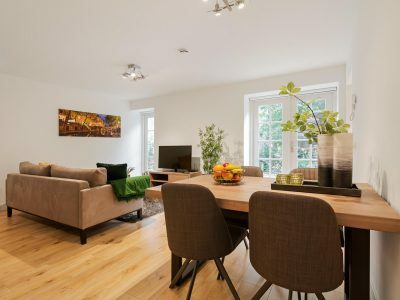 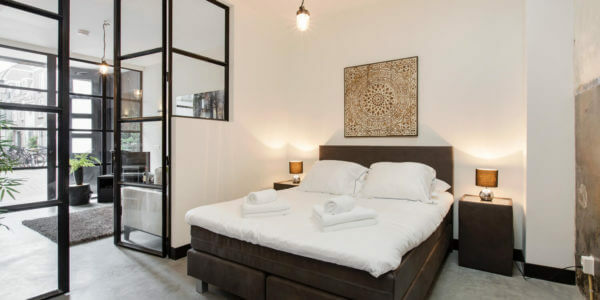 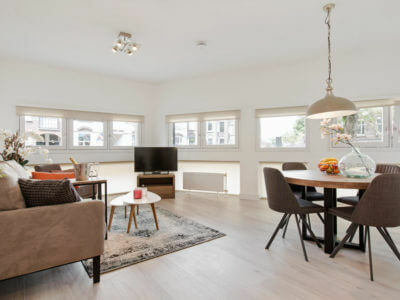 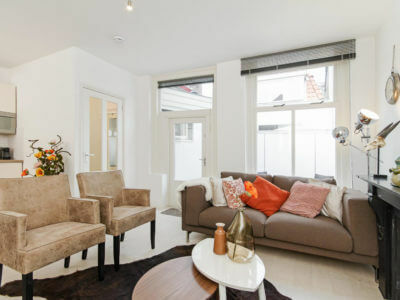 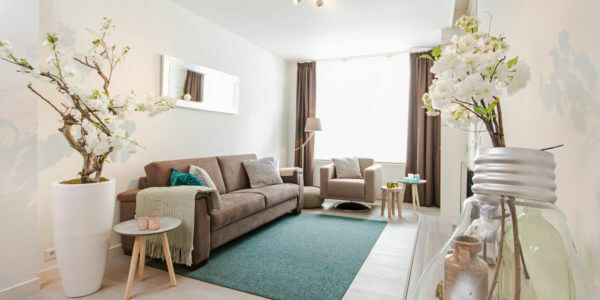 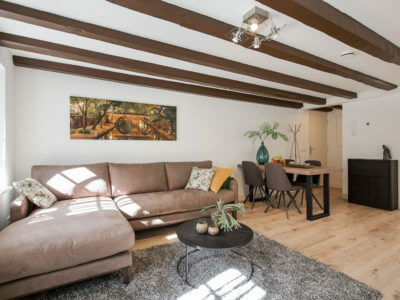 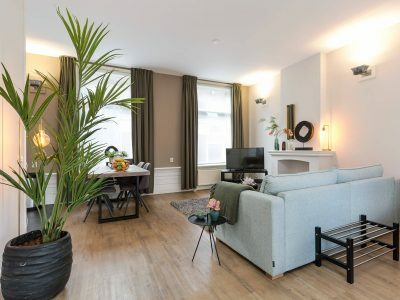 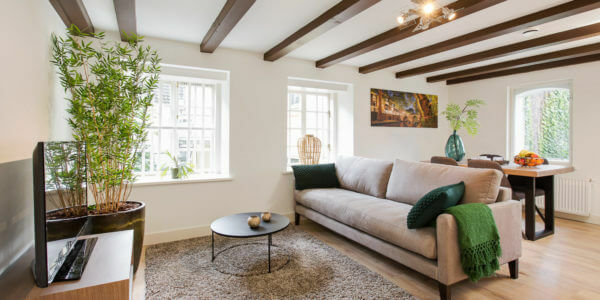 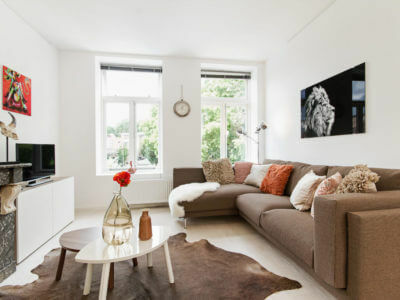 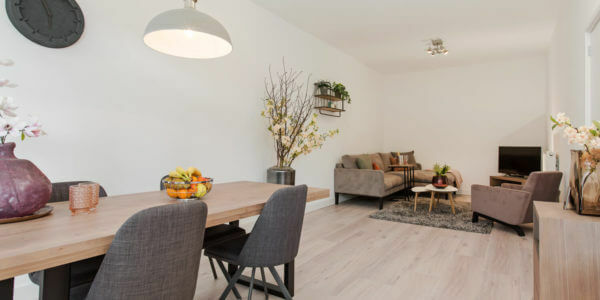 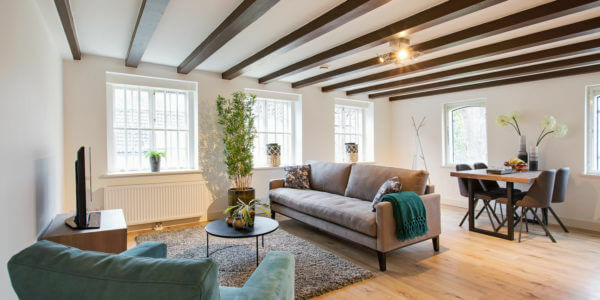 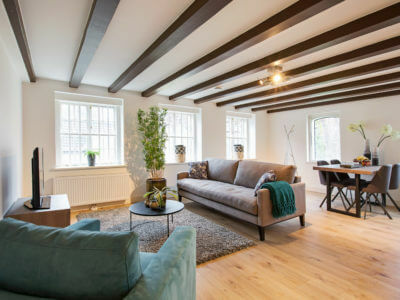 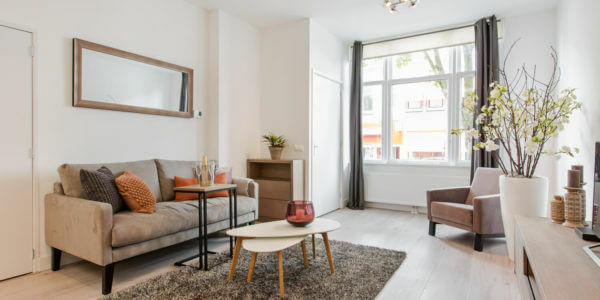 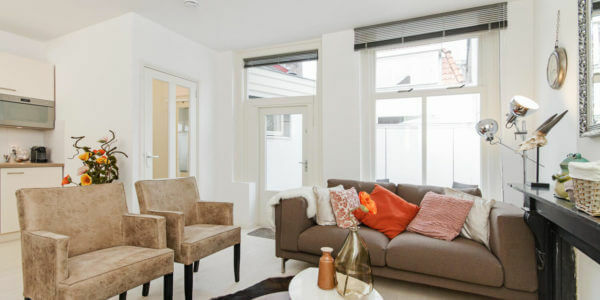 This City District Apartment is located at the Hardebollenstraat 3 in the vibrant historical centre of Utrecht. 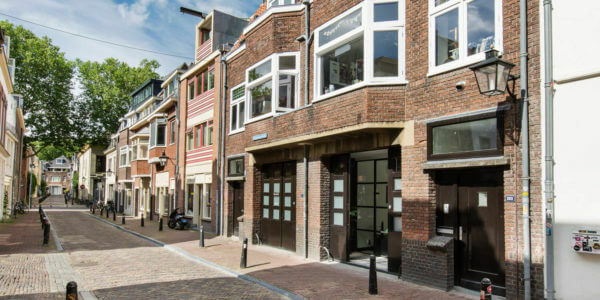 This area is known for its many squares, restaurants, boutiques and small café’s and terraces. 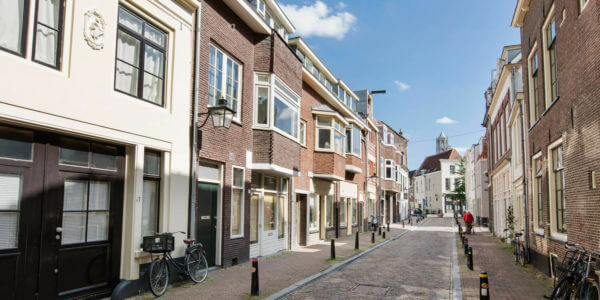 The Hardebollenstraat is only 50 meters long, but houses 3 monumental buildings.. 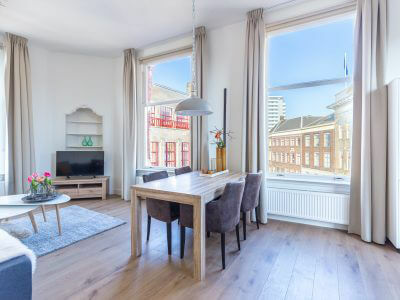 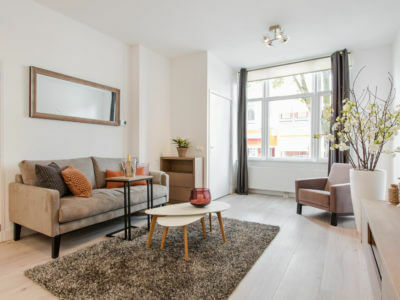 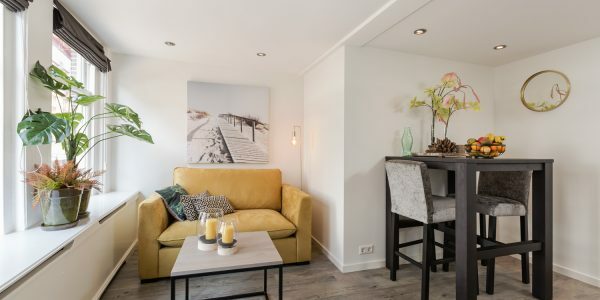 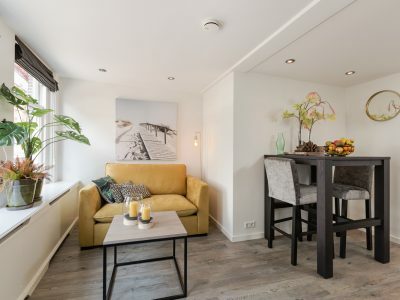 Even though this apartment is located in the heart of Utrecht, it is a nice and quiet street with parking possibilities close by. 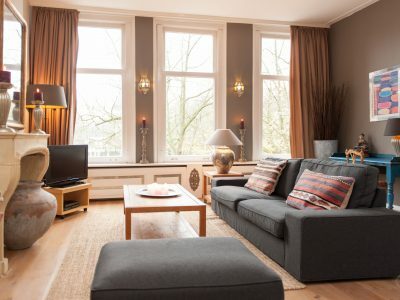 The historic canals of Utrecht and the famous Domtower are only a few minutes away. 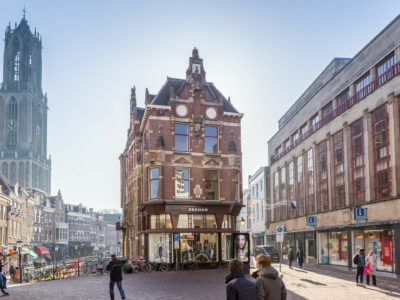 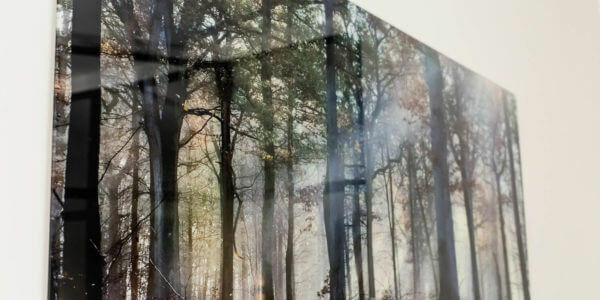 Furthermore one of the largest textile and accessories market of the Netherlands is held in this area every Saturday. 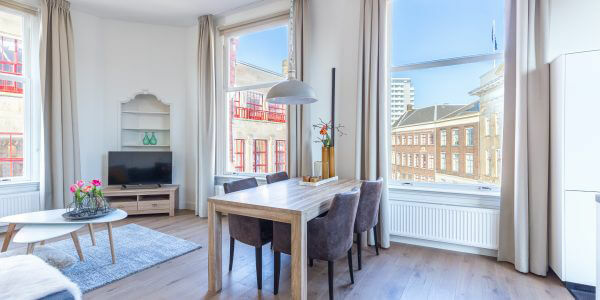 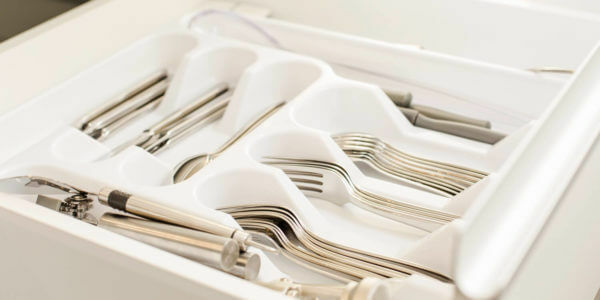 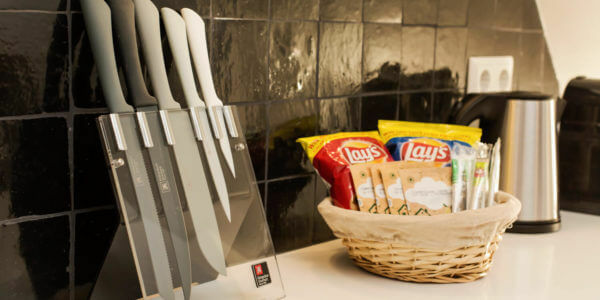 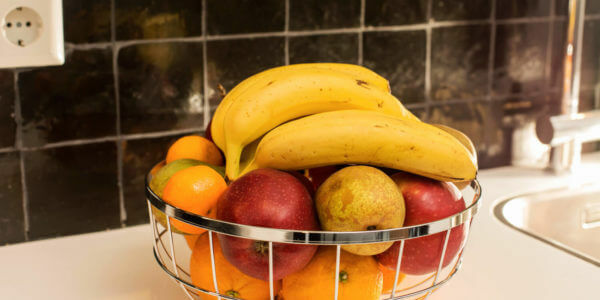 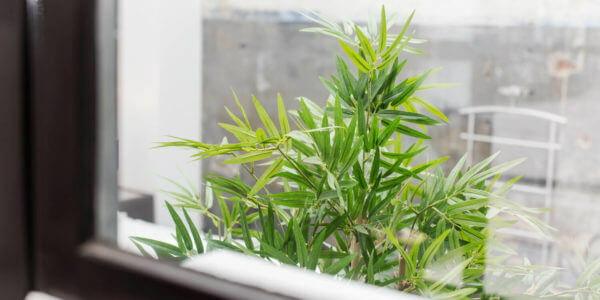 A supermarket can be found within 20 meters from the apartment and Utrecht Central Station is only a few minutes away. 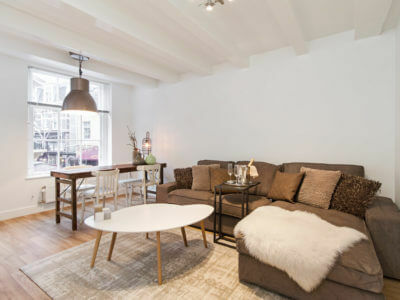 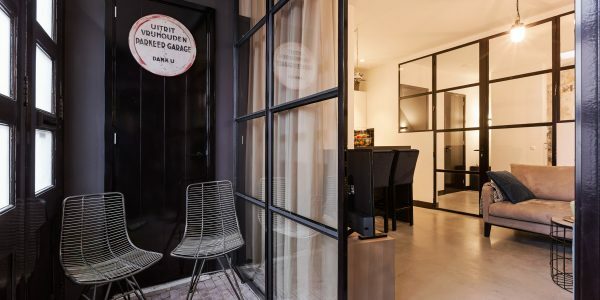 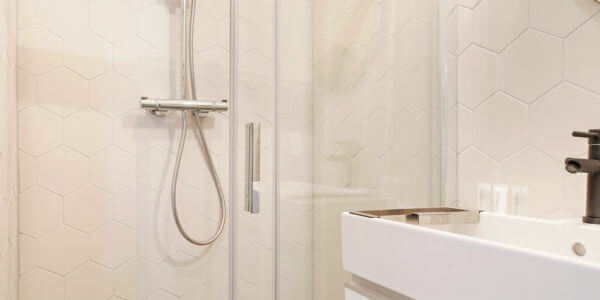 All in all a great location to stay in Utrecht!